WE CARE: BECAUSE NOTHING LESS WILL DO. Over the last 50 years, the way we raise pigs has changed. Advancements in farming methods, technology and economics have significantly transformed farming. Yet one thing remains constant for farmers: our mission to produce safe, nutritious food in a responsible manner. On farms large and small, our livelihoods are tied to the land and to the health of animals in our care. 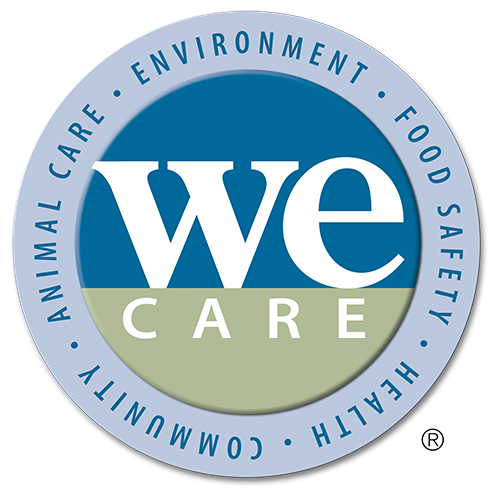 We realize that raising healthy pigs by using good farming practices results in safe, high-quality products. As providers in the food supply chain, farmers understand the need to assure everyone that we uphold high standards and continuously strive to be better. This is increasingly important as we seek to promote a better understanding between pig farmers and those less familiar with agriculture. We take pride in the progress we have made so far, and we are working hard every day to be transparent about how pigs are raised and demonstrate that we operate our farms responsibly. 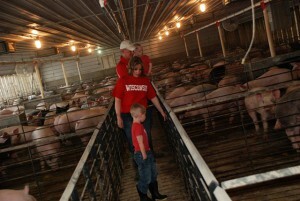 To learn more about our farming practices, visit www.porkcares.org.